This document intends to provide a very basic and preliminary guide to any person that may be interested in acquiring any kind of assets in Costa Rica: a property, a vehicle, a Corporation, etc. As you will be able to see, the first part of the document refers to the most common process in the country: the process of purchasing a property. In this part, we will briefly explain the initial steps such as what minimum information you should expect from the Real Estate Agent or the Owner of the property that you would like to buy, the different steps of the process of purchasing a property as well as the participation of your legal advisor. As any responsible Legal Advisor in Costa Rica may confirm, the most important idea you should take into consideration is that you should always consult the implications of your purchase so that you make the most convenient decision for your interests. Purchasing a Property in Costa Rica. Funds of Information: Here in Costa Rica you will be able to obtain very useful information in regards with the Real Estate Market through the classic funds of information: Real Estate Agents, Newspapers, Magazines, the Web and your Advisors. Even though it is perfectly possible for you to work without a Real Estate Agent, it is our sincere advice for you to consider working with one since it will definitely save you precious time and resources. As for the Real Estate Activity, here in Costa Rica it is not necessary to obtain a “Real Estate license” to provide such services. Nevertheless, the Real Estate Agent must be registered in the correspondent Public institutions just like any other commercial activity. Thus the Real Estate Office must have a permit granted by the correspondent Local Government and should also be registered in the Tax Department (in Spanish “Ministerio de Hacienda). Basic steps of the process: Once you have identified the property or the asset you’d like to acquire, you should make sure that such asset meets the minimum conditions as to proceed with the purchase. This is when the participation of your Legal Advisor becomes fundamental: thus, researching the Title of a property is certainly a very difficult thing to do: it implies technical legal knowledge. What information should you get so that your Legal Advisor can run the research of the property? At minimum you should be able to provide your Attorney with the Property Number and/or the survey number of the property. With this information your legal advisor should be able to provide you with a complete research of the property. The same happens with the rest of the assets subject of registration in Costa Rica: vehicles, corporations, etc. - Legal Description of the property: Location of the property, Measurement according to the Public Registry, Boundaries of the Property, Public Registry owner of the property, value of the property according to the Public Registry, annotations, liens, burdens that the property may have. - Historical Research of the property: Your legal advisor should also give you a brief explanation of the history of the property. Due to the Public Registry system of the Costa Rica, that institution records the different events that have occurred to the property. Very useful information is sometimes obtained out of that research. Once your Attorney has provided you with the indicated information and once he or she has warmed you about any necessary information you should be aware of, then you decide wether or not you would like to continue with the process. If so, the next step is usually to sign a Purchase and Sale Agreement which works just like in United States of America: basically both parties promise to Sell and to Buy a property provided certain conditions are met. 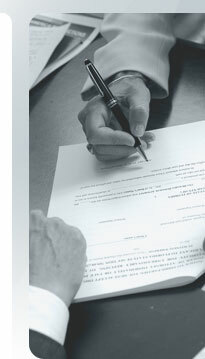 Once the term of the Agreement expires, a deed of transfer of the property must be signed. This document is the most important of all and should reflect the reality of the negotiation: the price, the conditions, etc. This document must be prepared by a licensed Public Notary: here in Costa Rica the figure of the Public Notary is different from that of a Common Law system: the Public Notary must be also an Attorney and special studies must be approved before been able to provide such services. Please make sure that the Legal Professional that is assisting you has the correspondent requirements to do so. Make sure that once the process of registration of the transfer of the property is complete, your Attorney provides with the correspondent documentation to prove that such registration has occurred. Prepared by: Rafael Angel Pérez Z.
Pérez & Mejía Law Firm.